BT in £5bn monopoly rip-off? BT overcharged customers £4.9bn between April 2005 to March 2013, an independent report claims. After analysing financial information BT must by law provide to the regulator Ofcom because it has “significant market power” i.e. an effective monopoly in certain markets, Frontier Economics (FE) found that returns on BT’s regulated services were consistently above the rate required to compensate investors, (the weighted average cost of capital as determined by Ofcom), and that wholesale prices could have been on average 10% lower over the period. The report corroborates an earlier finding by Wik Consult in support of TalkTalk’s complaint to Ofcom that BT indulges in a “margin squeeze” by overcharging for wholesale products. 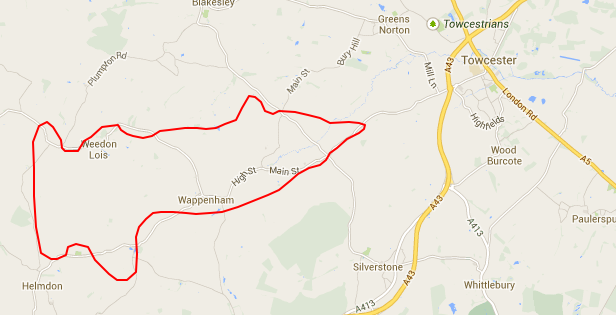 Wik found that Openreach’s costs to build its FTTC network are £4.39 per line per month. BT Openreach charged resellers £7.40 or £9.95 depending on the bandwidth provided. 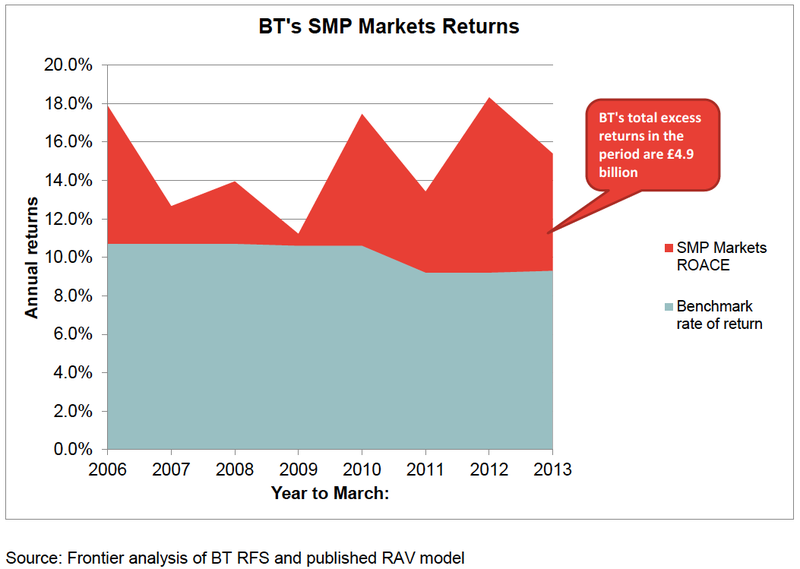 The FE report, The Profitability of BT’s Regulated Services, was commissioned by Vodafone. It shows that regulated wholesale prices would have been 10% lower on average, had they been set such that BT had earned a return at the benchmark level set by Ofcom. Because they weren’t, BT was able to earn on average an extra £600m/y for the period. some costs may have been allocated to the wrong service. “Further analysis is required to understand which combination of these reasons may explain the results shown above,” FE said.